Nevertheless, one is left with the feeling that there is more for future researchers to uncover. On the crucial question of who were the financial backers, Roberts tells us little that was not previously known. This is perhaps more of a reflection on the efforts of South Africa’s special investigation team, the Scorpions, and Equatorial Guinea’s lawyers, Penningtons , than on Mr Roberts, who looks closely at the role of Mark Thatcher, and of the mysterious JH Archer, widely identified with yet another novelist, Jeffrey Archer. Perhaps the most interesting question is whether any governments backed the coup. Roberts’ interviewees named Spain, America, Britain, South Africa and Zimbabwe as having been told about the operation. The plotters were obviously wrong if they thought that South Africa and Zimbabwe backed their plans, as it was these two countries that pulled the plug. The case for Spanish involvement is clearest. Severo Moto , the political exile who the plotters planned to make President, was close to the Spanish Government, which sent two naval vessels to EquatoGuinean waters in February 2004. There are also pointers to an American role. Mann acquired a specially adapted aircraft from a US Government contractor shortly before the coup attempt. At roughly the same time, the EquatoGuinean dictator, President Obiang, found his Washington bank account being frozen. Britain’s former Foreign Secretary Jack Straw is known to have discussed the plot with Tim Spicer, who been involved with Mann in trading arms to Sierra Leone , with backing from some elements in the British Government. Gerhard Merz, a German plotter who died in an EquatoGuinean jail , had been involved in trading chemical weapons materials to Iran in the mid-1990s. (As far as I know, it was Dr Alexander Von Paleske who first drew attention to Merz's record.) One detail that Roberts does not mention is the claim by the former MI6 agent Richard Tomlinson that this Iranian arms trading network was the target of a British sting operation . A perhaps more significant omission is the report that Mann’s company, Logo Logistics employed Justin Longley , the nephew of Sir Richard Dearlove, who was head of MI6 at the time. Neither of these points are proof of British involvement. However, the latter detail surely deserved a mention. 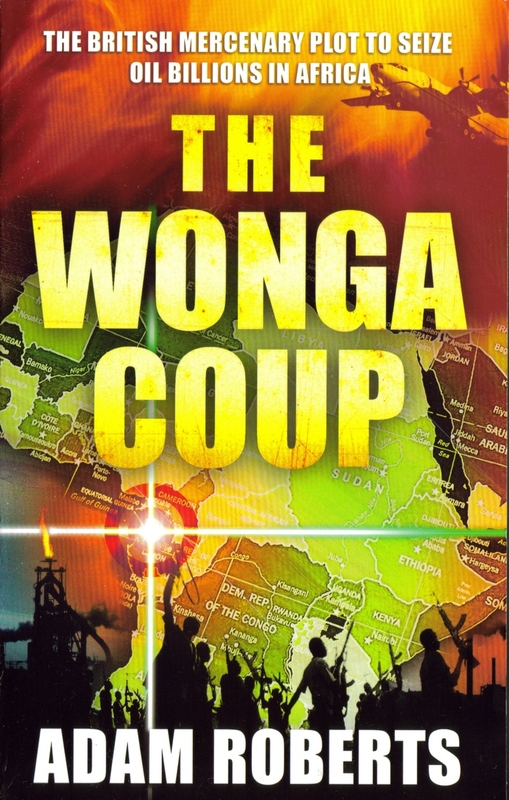 That caveat notwithstanding, Roberts offers a persuasive assessment of the ‘Wonga Coup’. Obiang’s Equatorial Guinea is one of the most brutal dictatorships in Africa. Yet, despite their talk of democracy, there was little idealism about the plotters’ motives. They planned to make Severo Moto a figurehead, while looting Equatorial Guinea ’s oil wealth every bit as much as Obiang himself. Wonga, it seems, was always his priority.